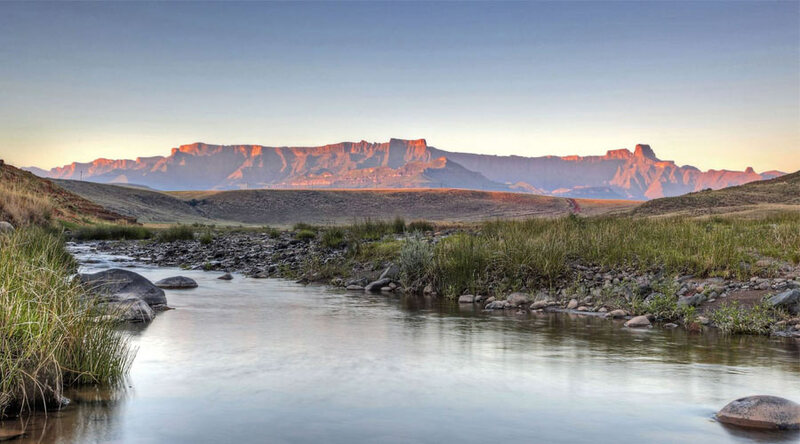 This stunning full board Drakensberg resort has won numerous accolades and awards, giving you sound peace of mind. 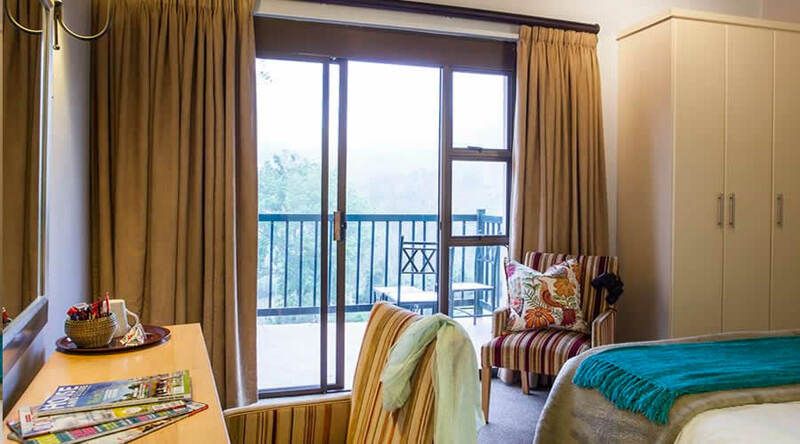 Superior suites, Superior rooms and standard accommodation are available to guests, all offering spectacular views of the surrounding valleys, forests and mountainside. 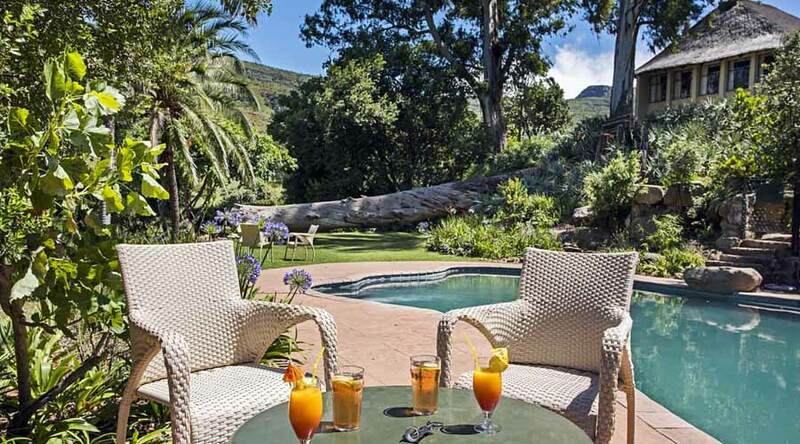 The Superior accommodation is set away from the resort, in tranquil gardens, giving you magnificent views of the surrounding mountains. 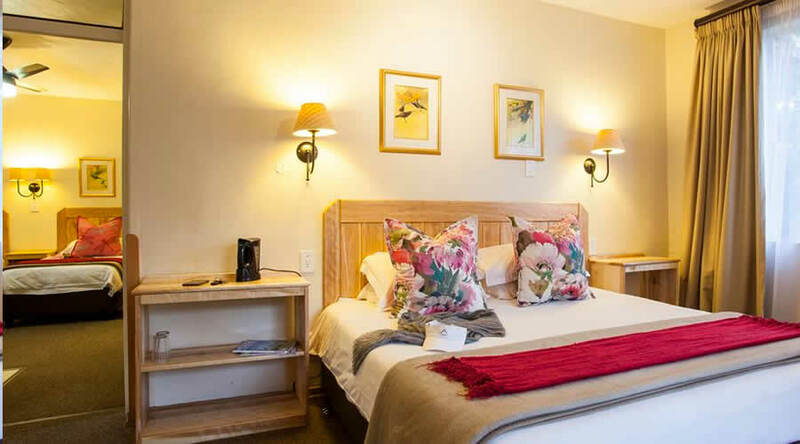 The Cavern is a Drakensberg holiday resort offering two types of accommodation (Standard and Superior) which have been rated as "Highly Recommended" by the Automobile Association (AA) of South Africa. 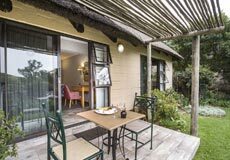 Our Standard accommodation is set in lush garden landscapes with a vibrant mix of indigenous planting, filled with the sounds of birdlife. Each room has a patio to soak up the sun and enjoy the mountain splendor. 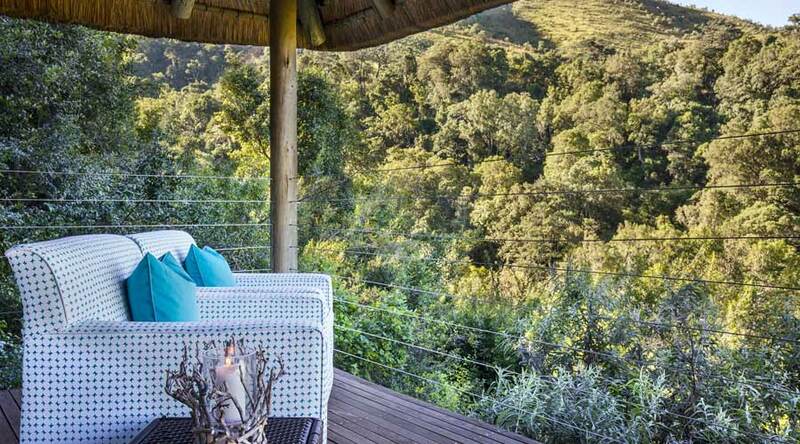 Our finely appointed Superior accommodation has magnificent views of the surrounding mountains with private patios to soak up the sun, listen to the sounds of forest streams and relax in our mountain wilderness. All accommodation has a TV and bar fridge. 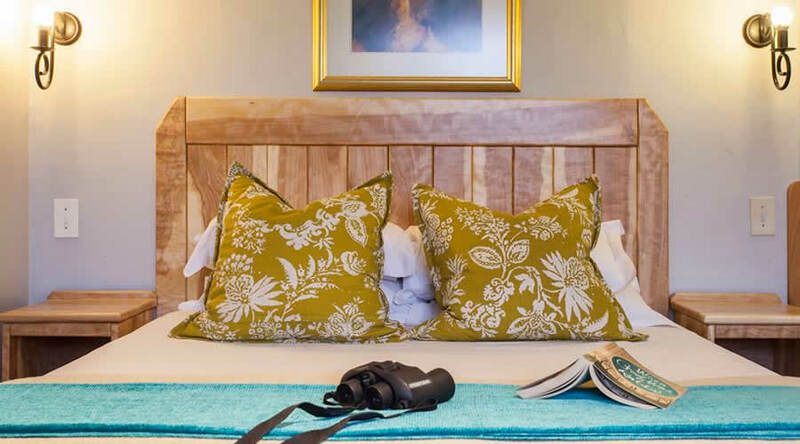 With superior finishings and fittings our superior suites are nests of tranquility each with its own private fireplace, patio, TV and bar fridge. They have magnificent views of the surrounding mountains with the sounds of waterfalls and streams rushing through indigenous forests. Our Friendly staff welcome you to our dining room where a Table d' hotel menu offers a wide choice at every meal. 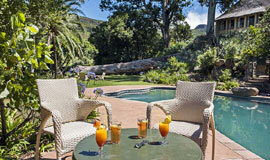 Weekly functions include 'Lunch in the Sun', 'Boma Buffets' and 'Potjie Pots'. A range of beers and a selection of South African wines are available. The Emaweni Cave bar is fully licensed, and operates between 12h00 & 23h00. The Cavern is a child friendly family resort and is in the Automobile Association's Hall of Fame. We have a separate children's dining room for children under 7 years where parents are encouraged to join their kids during their mealtime. The dining room has a fridge and microwave for use by parents if required. Trained nannies are available during all the adult meal times to look after and entertain your children. There are suitable DVD's, toys, and an outside play area, which is fenced off so that kids can get fresh air without the danger of running off unaccompanied by adult supervision. Other activities include face painting, play dough, finger painting and many crafts. Our staff are trained to interact with your children and they are kept amused with songs, dancing and group play. Children's entertainment is organized in the afternoons on a daily basis and a little play group is run on Tuesday and Thursday mornings out of school holidays for the valley children - you are welcome to join in. Nannies are available for hire outside of meal and organized children's entertainment times. Every day local guides are on hand to accompany guests on short or more challenging hikes. Numerous beauty spots are visited where a brew of tea and crunchies are enjoyed. Fish for trout in our five well stocked dams. 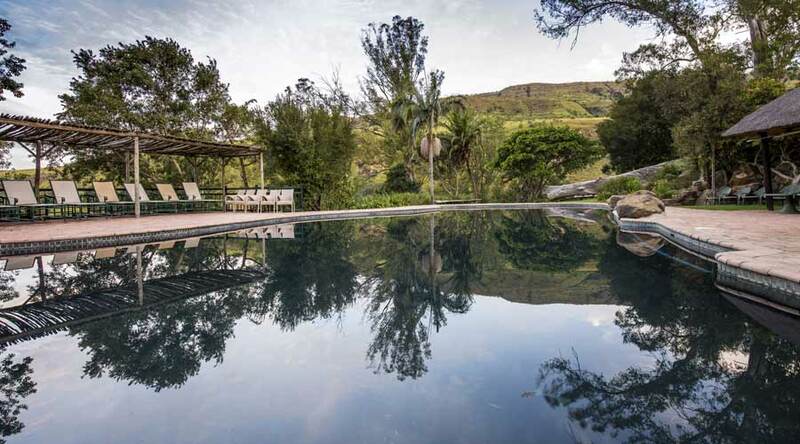 Swim in the rivers or in our large crystal clear swimming pool. Guests may choose from a variety of leisure activities, including tennis, bowls, volleyball, jogging, mountain biking... and on Saturdays- dance the night away. 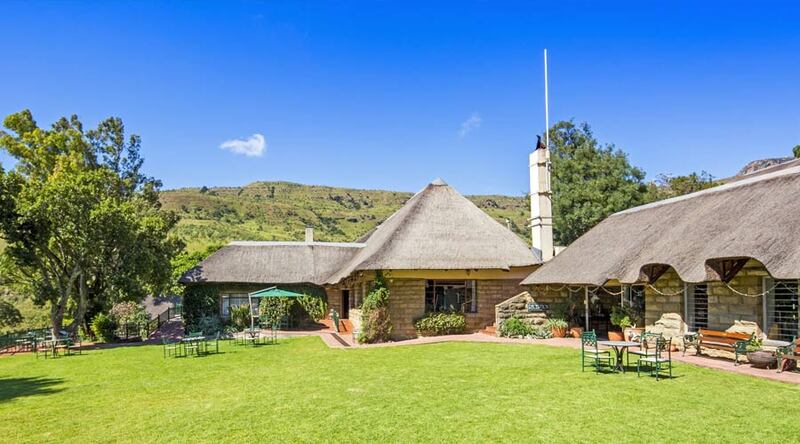 The Cavern is located in the Northern Drakensberg, 3.5 hours from Gauteng and 3 hours from Durban on excellent tarred roads. 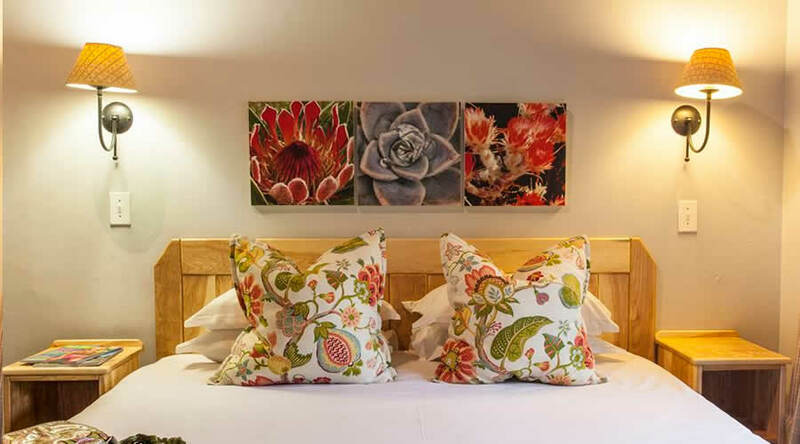 Standard accommodation is set in lush garden landscapes with a vibrant mix of indigenous planting, filled with the sounds of birdlife. 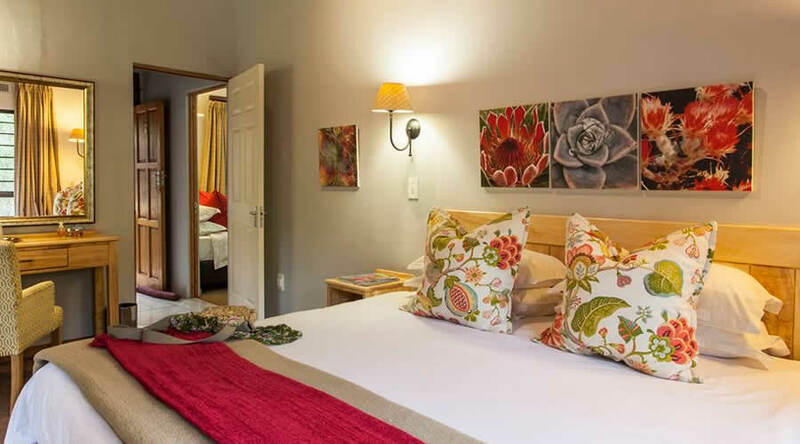 Each room has bathroom en suite, tea and coffee making facilities and a patio to soak up the sun and enjoy the mountain splendor. There are no TV’s in the standard accommodation. 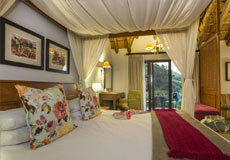 Superior accommodation is set overlooking the magnificent indigenous Fern Forest. The private patios give you the privacy and peace to enjoy the views, listen to the sounds of forest streams and relax in the mountain wilderness. The superior rooms are spacious and have a TV and bar fridge. With superior finishings and fittings the Superior Suites are nests of tranquility, each with its own private fireplace, patio, TV and bar fridge. 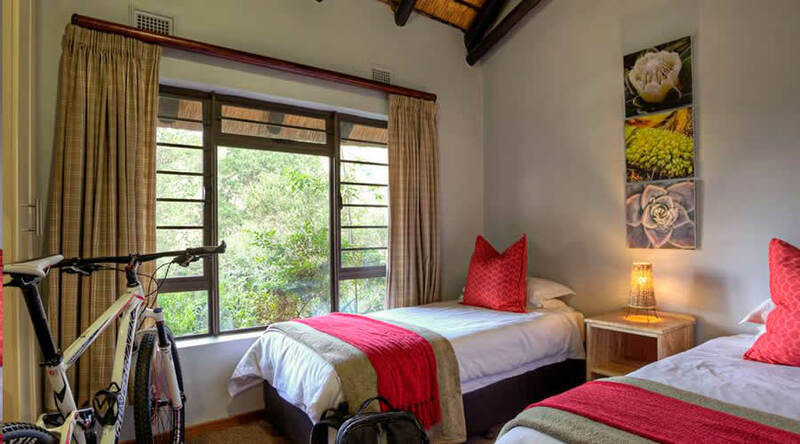 The Superior Suites are set overlooking the magnificent indigenous Fern Forest with private patios to soak up the sun, listen to the sounds of forest streams and relax in our mountain wilderness. 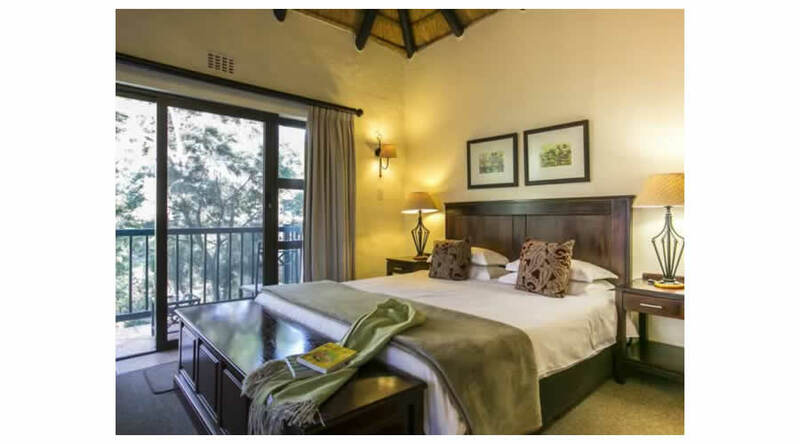 This standard family room sleeps 3 and consists of a king size double bed and a single bed in the same room. 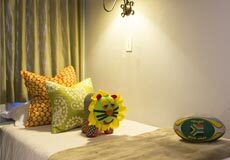 The room is spacious and comfortable, with en suite bath and shower, tea and coffee making facilities and a patio. 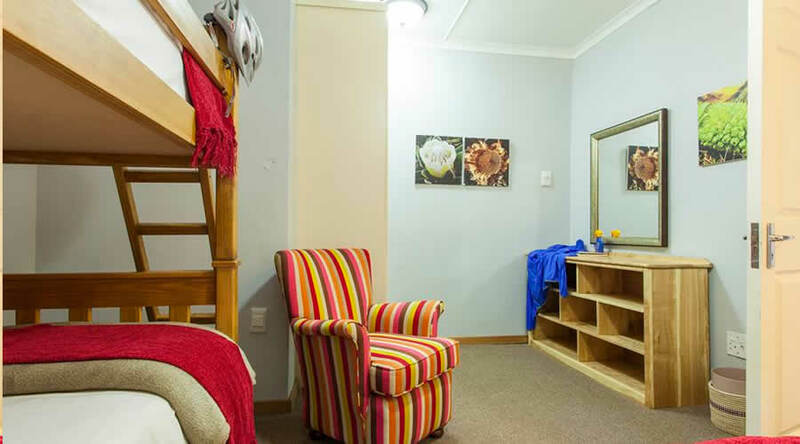 A cot can be fitted or a shorti bed put in, in these rooms for young children. 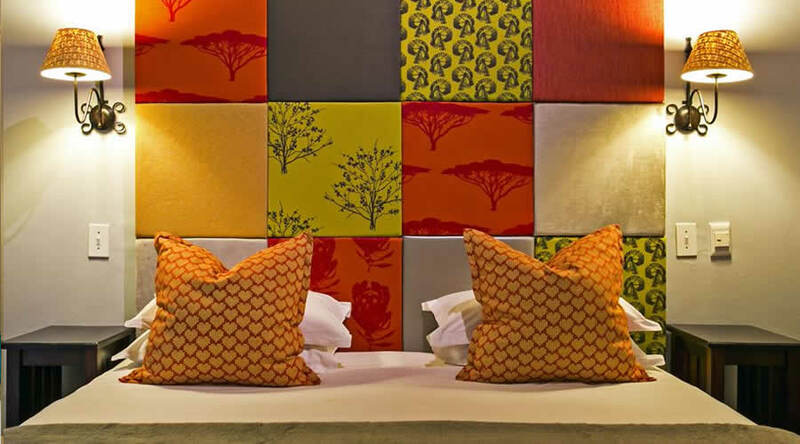 These rooms are set in lush garden landscapes with a vibrant mix of indigenous plants, which attract a myriad of birdlife. This standard family interleading units consists of two bedrooms. 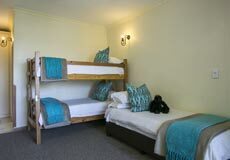 The master bedroom has a double bed and the second bedroom has 2 single beds/ bunk-beds for children. 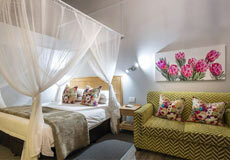 The rooms are comfortable with en suite bath and shower, tea and coffee making facilities and outside patio. These units are set in lush garden landscapes with a vibrant mix of indigenous planting, filled with the sounds of birdlife. Some units do not have mountain views. 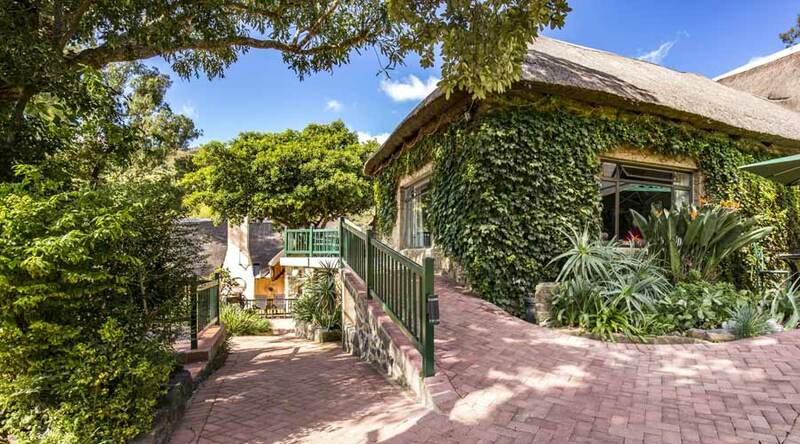 The superior family unit consists of two bedrooms off a common passage. 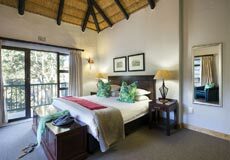 The master bedroom has a king size double bed with shower en-suite and the second bedroom has two single beds with bathroom en-suite. The unit is comfortable with tea and coffee making facilities, TV, bar fridge and a balcony with a view of the surrounding mountains. Note: There is a staircase in this unit. 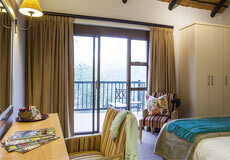 The superior family suites consists of two bedrooms and a lounge. 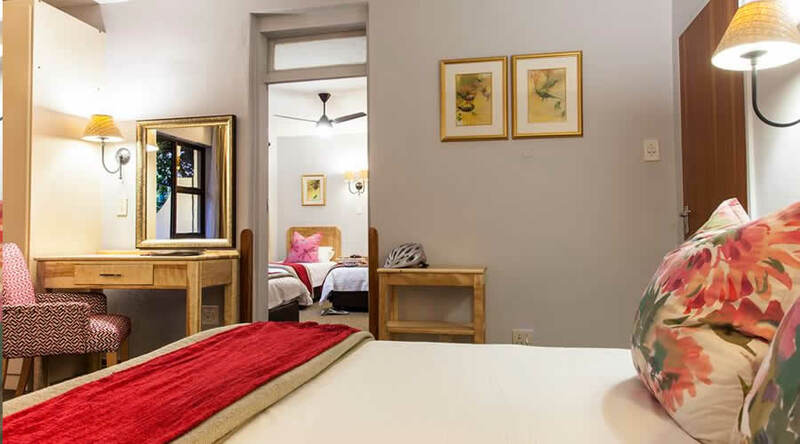 The master bedroom has a king size double bed and the second bedroom has a set of bunk beds / twin beds for children. The units are comfortable with en suite bath and shower, tea and coffee making facilities, TV, bar fridge, fireplace and outside patio. 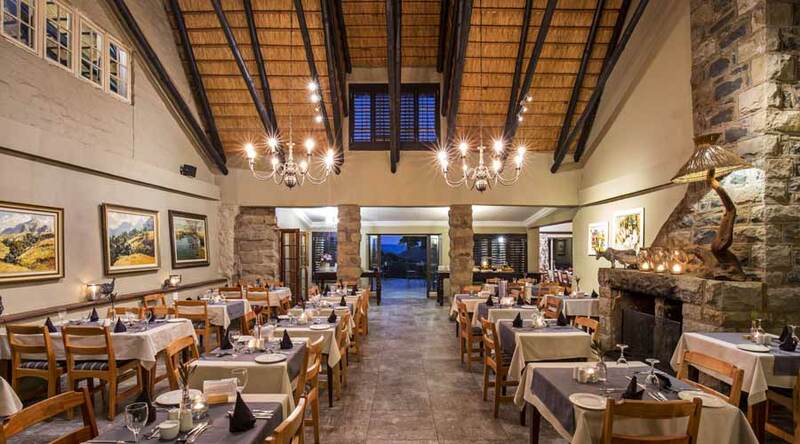 4 Star hotel | Named after the "Cannibal Cavern", it is situated on 3000 hectares of private mountain reserve adjacent to the Amphitheatre Royal Natal National Park - a World Heritage Site.